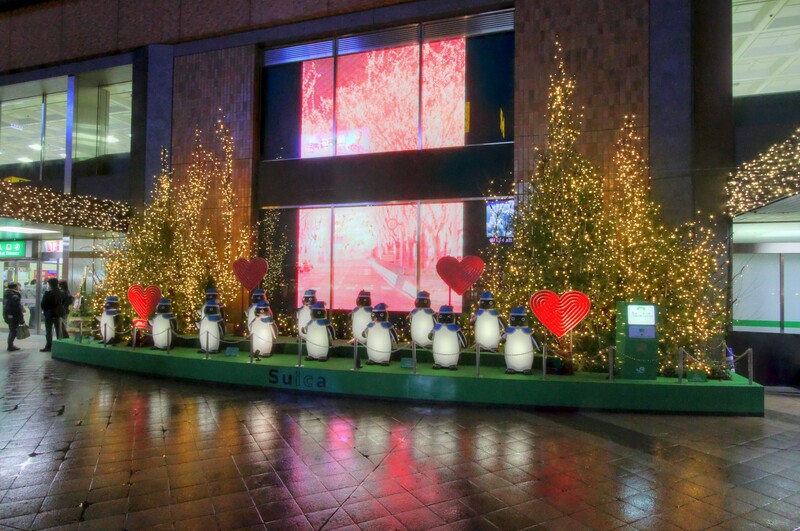 After riding into town on the train, I passed a rather large collection of inflatable penguins for some sort of Suica promotion on my way out of Sendai Station. 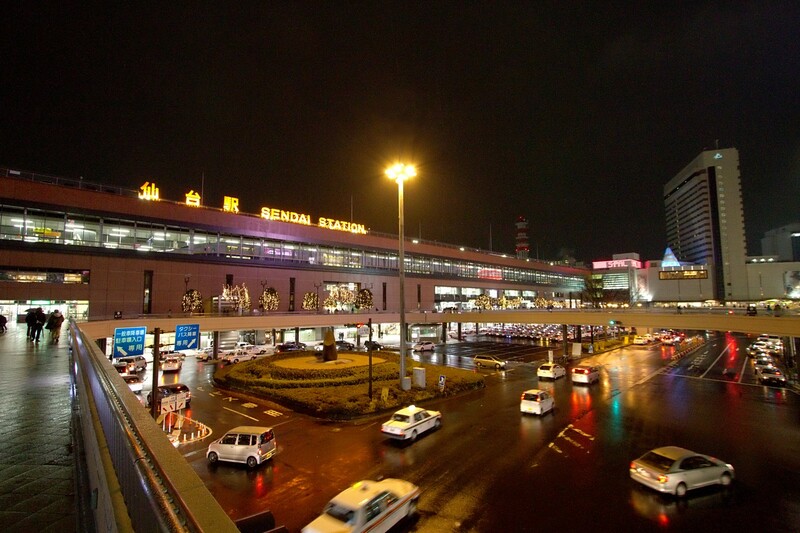 Suica refers to the contactless Suica card used to pay for rail fares among other things. 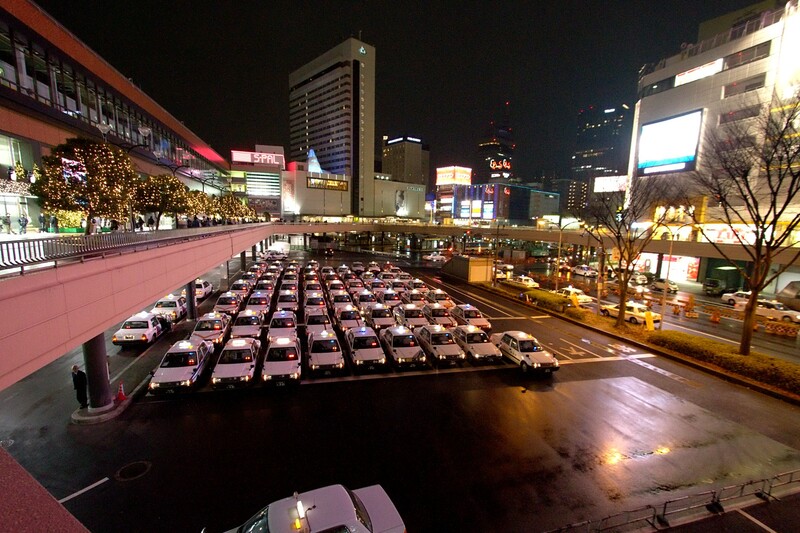 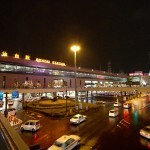 The collection of taxicabs out in front was quite impressive. 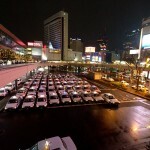 Need a taxi, anyone? 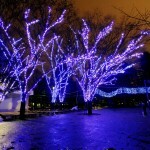 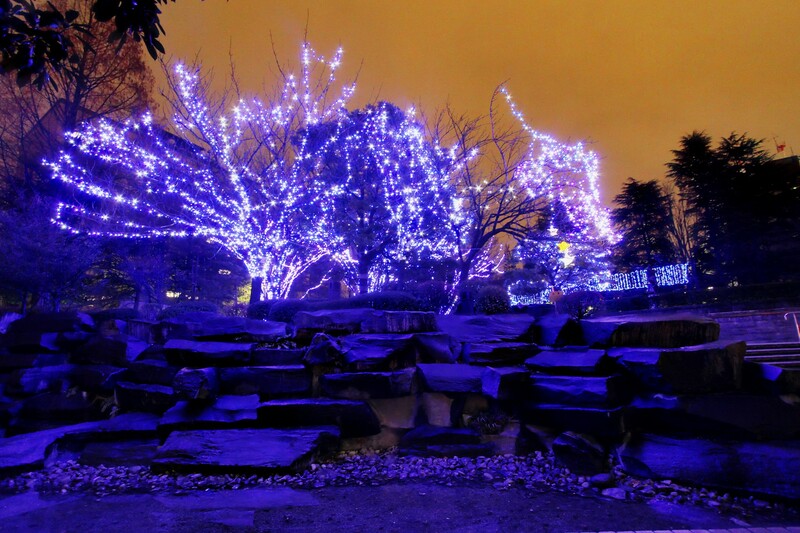 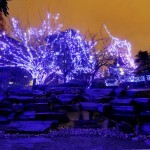 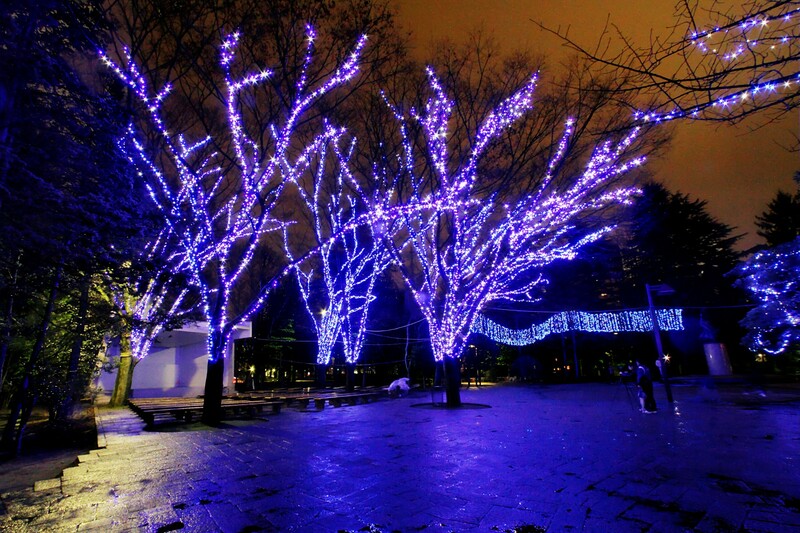 Right before the start of the row of lit up trees down Jozenji dori, there was a group of trees lit up with very nice blue lights. 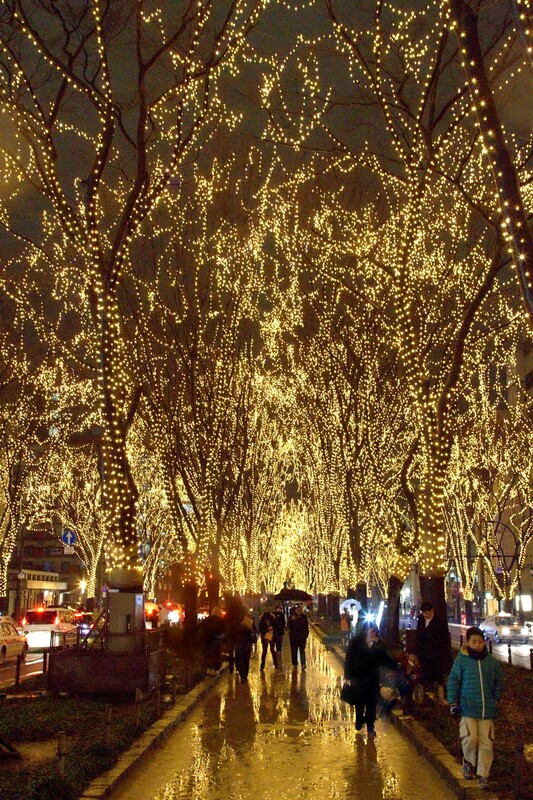 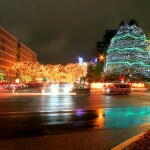 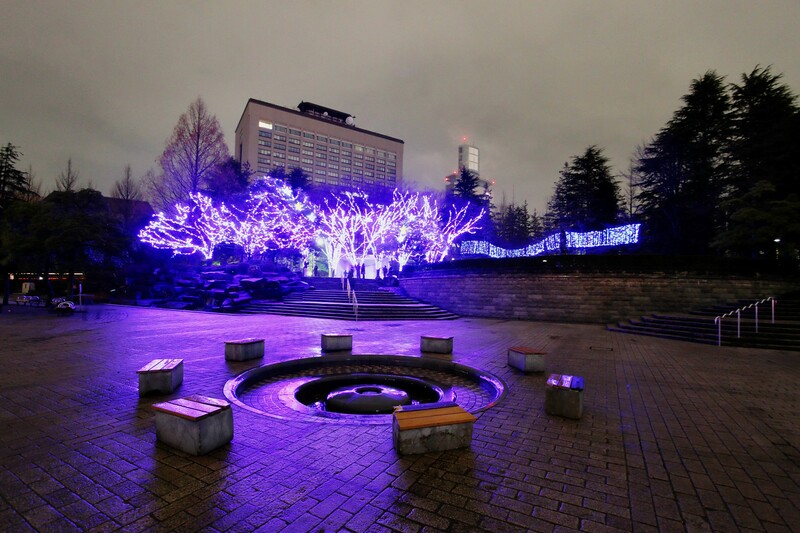 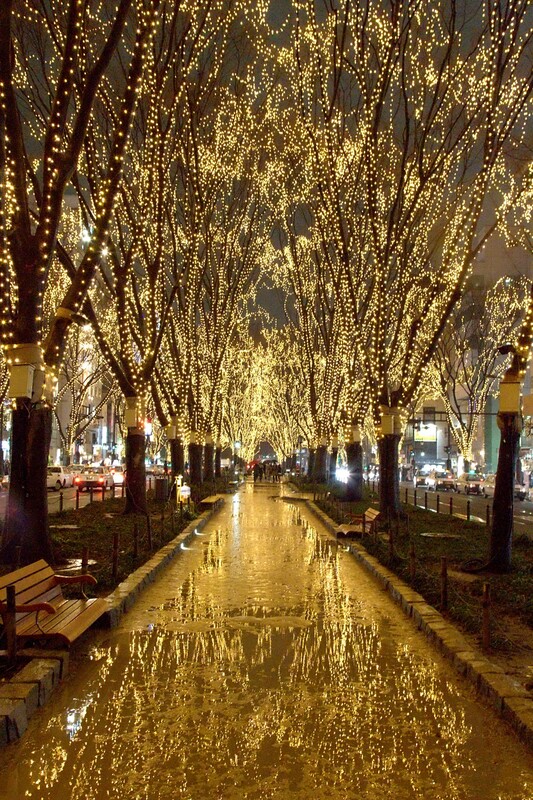 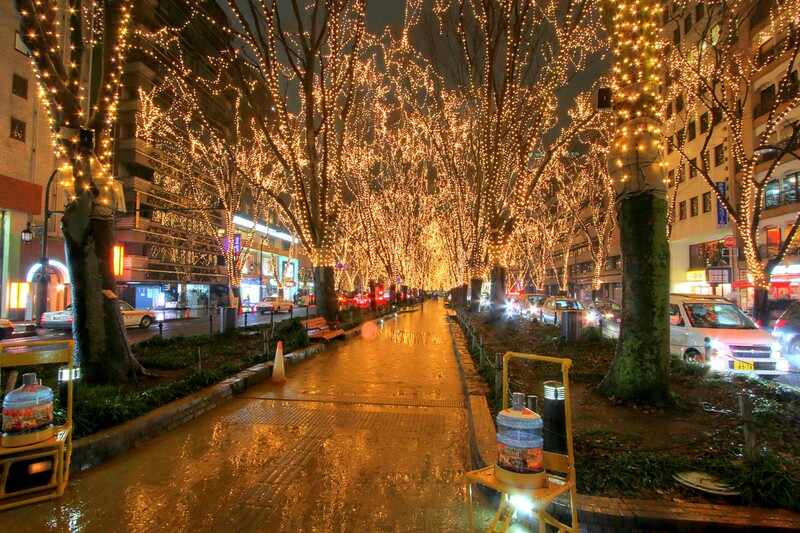 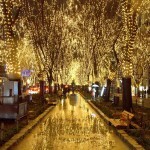 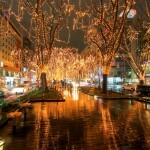 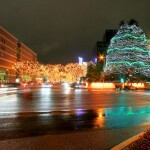 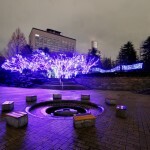 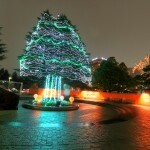 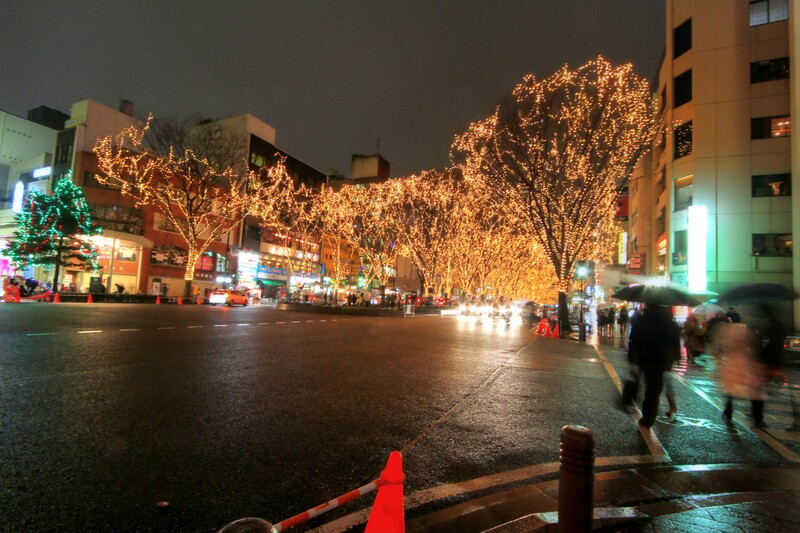 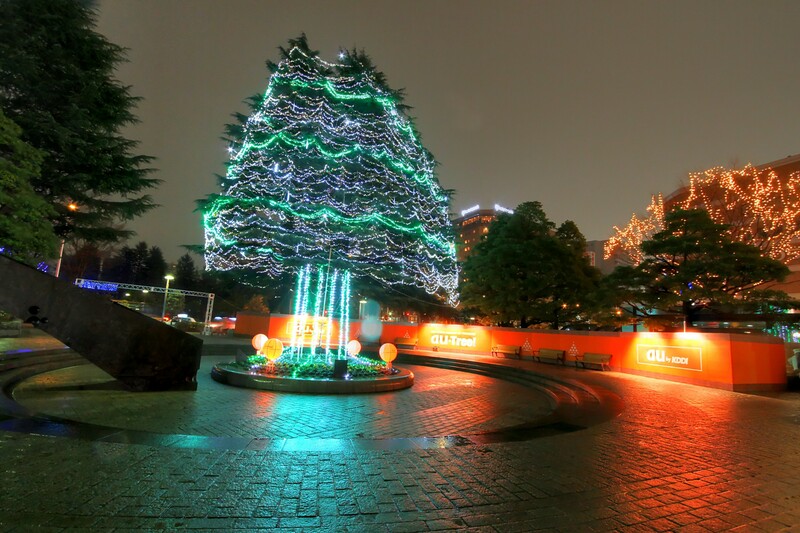 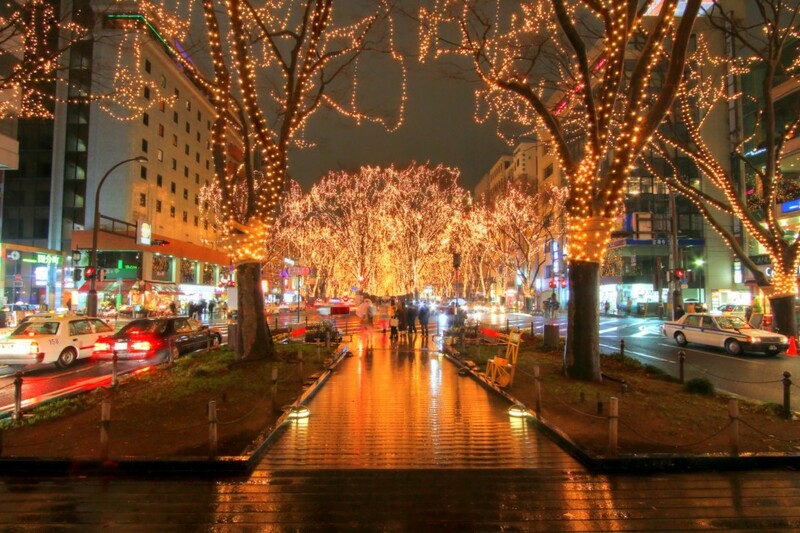 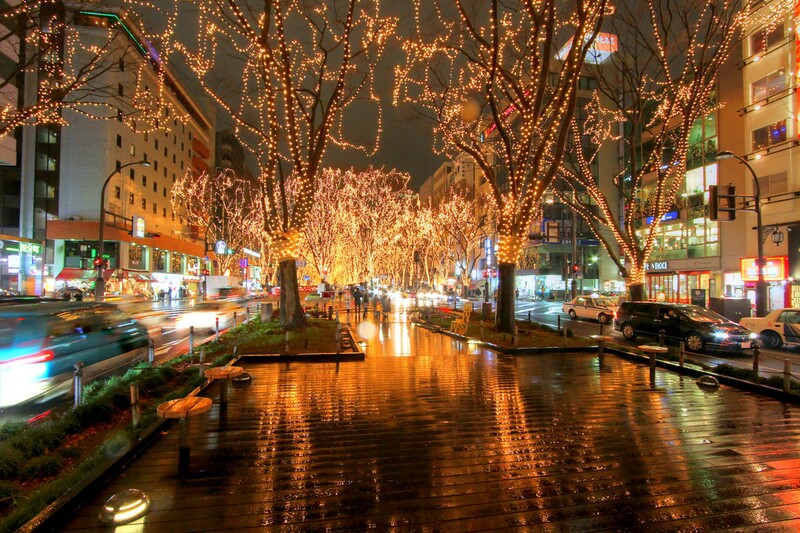 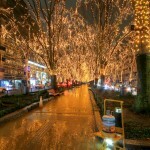 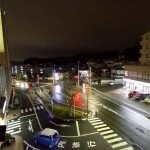 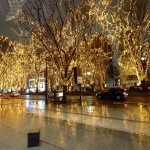 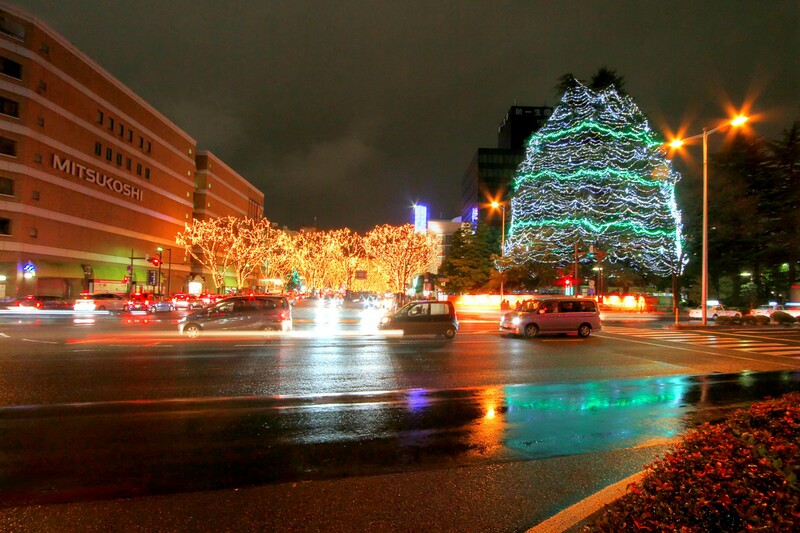 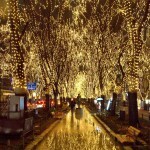 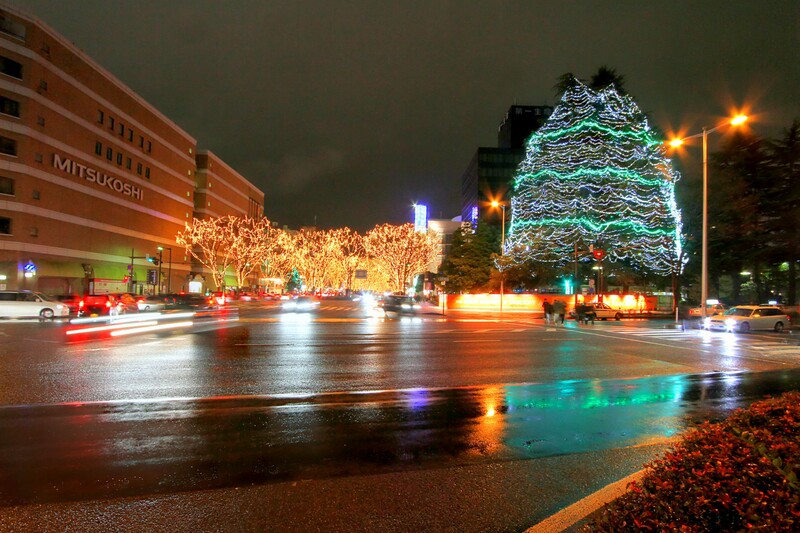 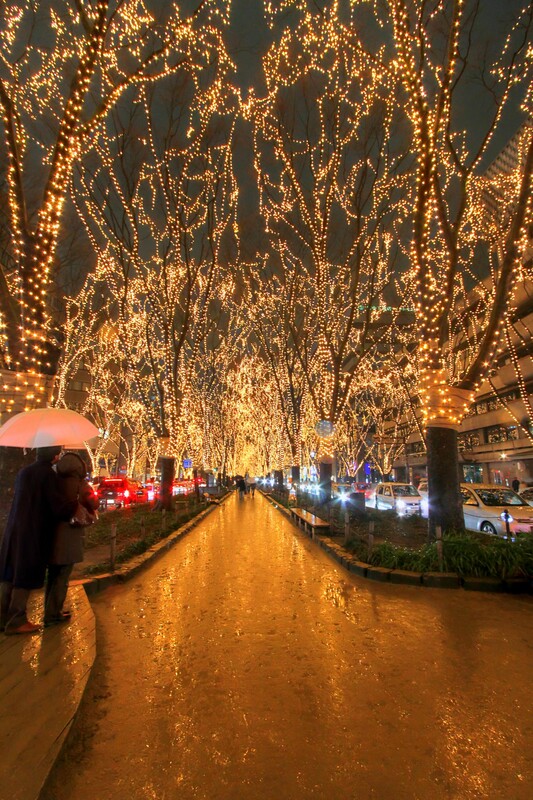 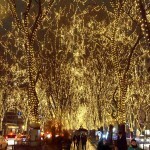 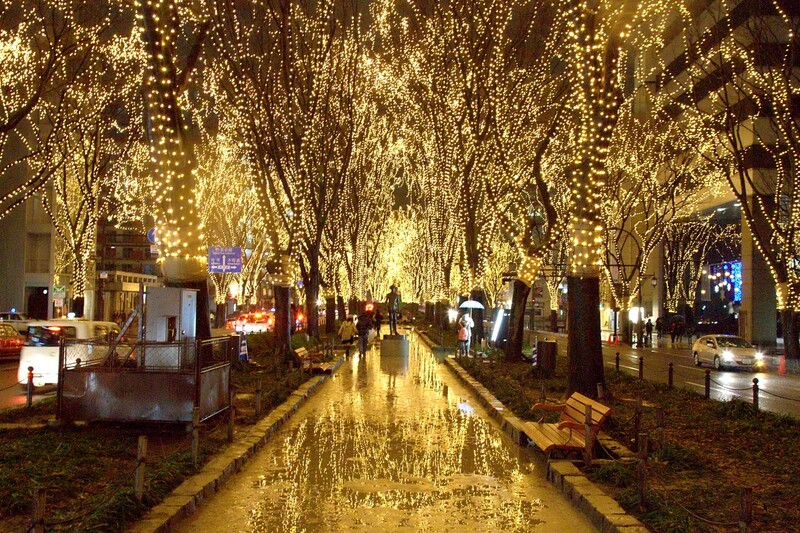 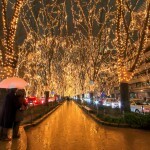 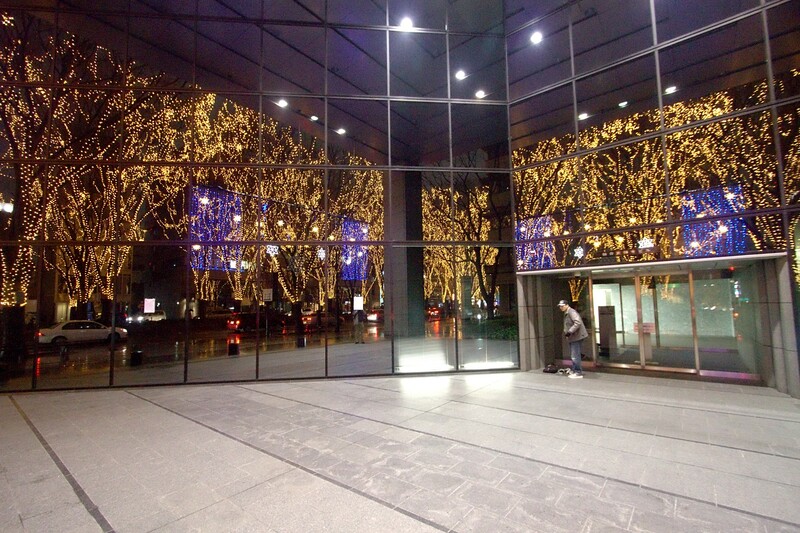 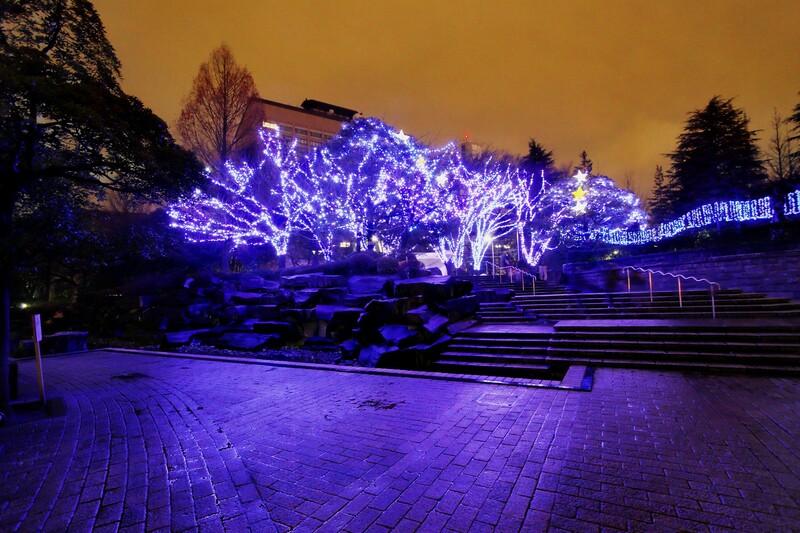 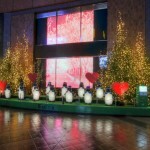 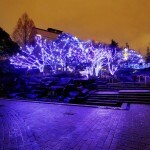 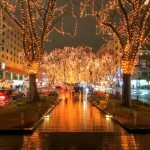 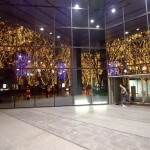 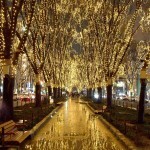 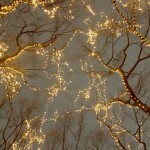 This is the start of the illuminated trees down the middle of Jozenji dori. 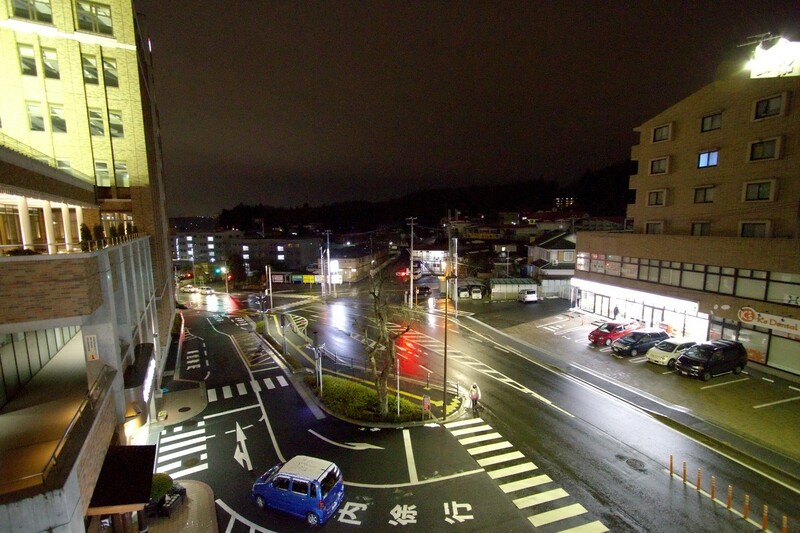 Starting down the middle. 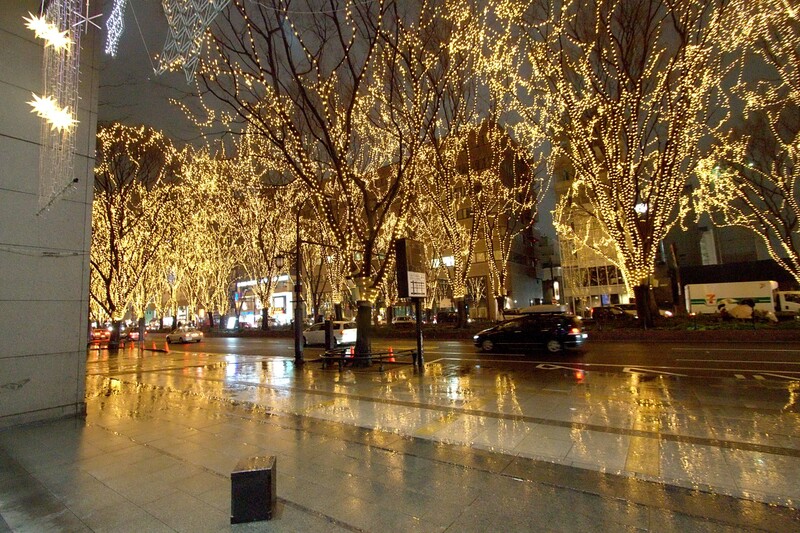 It was raining lightly at the time, producing some very nice reflections on the ground. 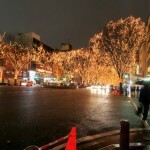 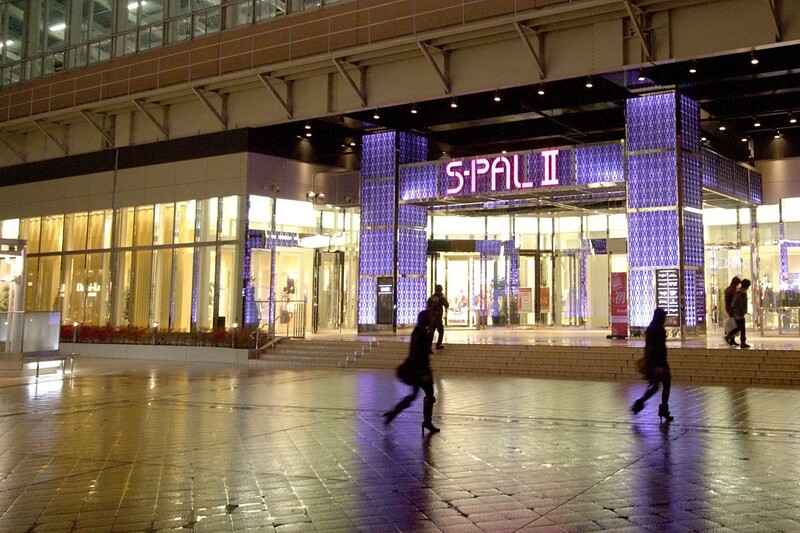 Unfortunately, I was unable to visit the pageant on the couple of days that it got a nice covering of snow. 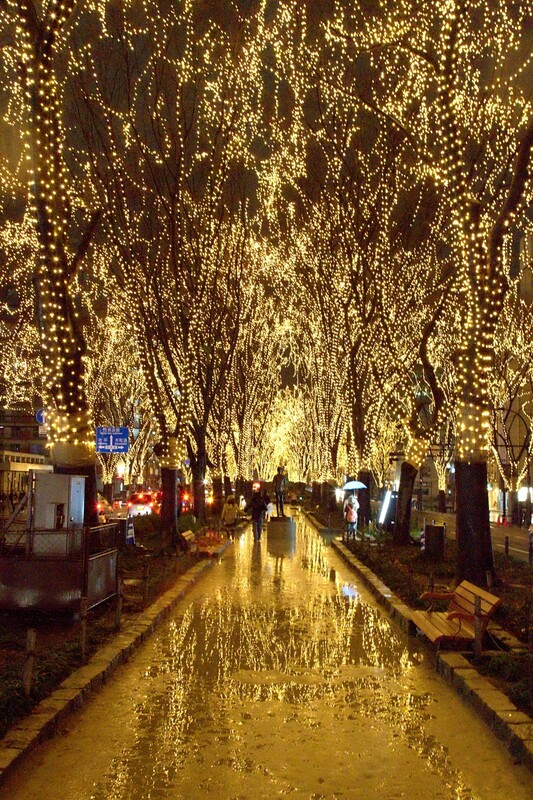 Well, the snow would have been pretty too, but the wet roads make for some nice reflections. 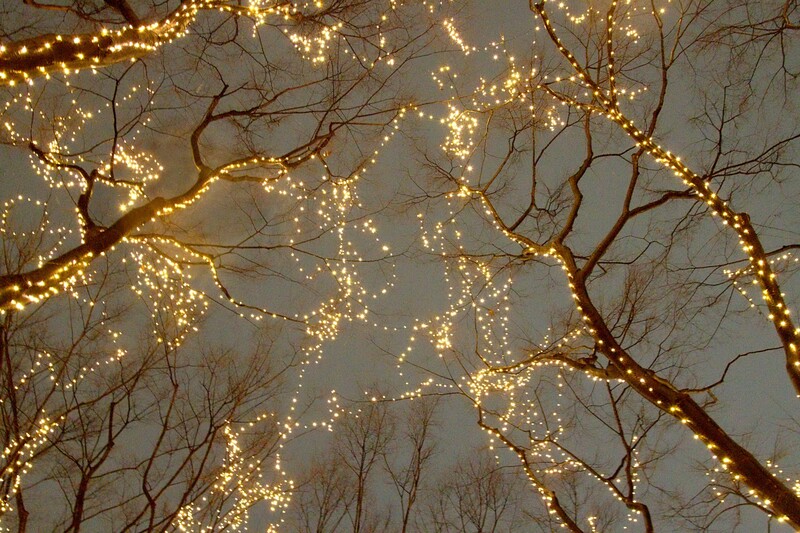 Love the shots looking up into the trees.